Our students report on the recent School Board meeting and some highlights from that meeting. We have a fun discussion about the classes students can sign up for next year as part of Forecasting. There’s much more, so tune in to check it all out! The music playing in the final segment of the show is technology ambience from Freesound.org by user burning-mir, released under Creative Commons Public Domain Dedication license. Bongos sound effect is the file bongos.wav by Warhawk717 from freesound.org, Creative Commons Public Domain Dedication license. We’re currently on Spring Break, but that doesn’t stop Bruin Radio from keeping you in the know. 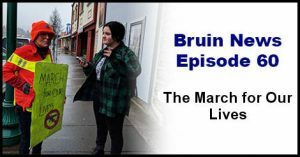 This episode features field reporting on the Brookings-Harbor March For Our Lives event, which was attended by two Brookings-Harbor High School students, and reported on by one, Isabella Freitas. Please pardon the weather noises in that segment, the storm was a serious one during the march. Bruin Radio is also on the scene with the students and staff who are a part of the upcoming play Athenry from the Chetco Pelican Players. Don’t miss the other important updates we share with you at the beginning of the show! Some sound effects heard in the segment promoting the Heroes Don’t Take Water Breaks show are licensed from www.wavebrigade.com. Student journalists reached out to the Curry County Sherriff’s Office last week regarding our local readiness to respond to school shootings. Our school news carries on with drama try-out information, extended school day news, and some exciting robotics news. The students had a lot of fun with some creative skits in this episode, so don’t miss the laughter accompanying the news. We discuss the topic of gun control in this episode, as well as a recent lockout drill performed at our high school. We share the anonymous thoughts on guns that some students submitted to the show. 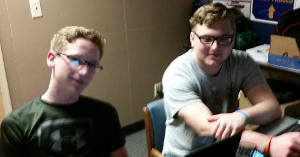 This episode also includes an interview with BHHS math teacher and RPG club mentor Mr. Crotzer. Finally, we bring back the popular bloopers section, offering you a peek at some of the fun we have behind the scenes recording episodes. Ethan Warner reports on the fundraising results of the National Honor Society’s Empty Bowls event. Students provide real-time reactions to the investigation results into Oregon State Senator Jeff Kruse‘s reputed behavior. Brigid Mitchell reports on the Sadie Hawkins Dance, and we hear some Powerful Poetry from her as part of the Poetry Out Loud competition! Justin Vanginderen interviews District Powerschool expert Blythe Wardwell about student information systems and “ADM”. There’s much more in this episode, make sure you listen or download to check it out! The new end music is Rock 808 beat by freesound.org user PlanetroniK, released under Creative Commons Public Domain Dedication license. In this episode we have an exclusive interview with former Olympian, OSU Football Player and man with a wealth of experience, Jess Lewis in this episode! We have a full Powerful Poetry episode featuring all of the freshest student poetry, as well as up-to-the-minute club news for you! Check it out! Cave Beat and Song of Sirius are original compositions by student Jeremy Pettinger, using ToneMatrix, by Audiotool at http://tonematrix.audiotool.com. Bongos sound effect is the file bongos.wav by freesound.org user Warhawk717, Creative Commons 0 License. This is one of our most ambitious episodes yet! 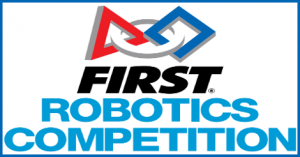 In addition to the latest news from our school, we bring back Powerful Poetry with student-read poetry submissions, and we get field interviews at a Robotics fundraising effort! This episode has Shinigami, wood-chopping, beach-walking and four-wheelers! Cave Beat is an original composition by student Jeremy Pettinger, using ToneMatrix, by Audiotool at http://tonematrix.audiotool.com. 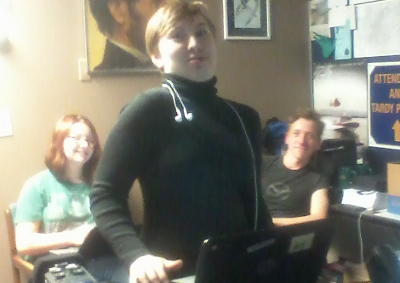 A silly picture, but it’s the one the students preferred! This week’s awesome episode features the return of our Powerful Poetry segment, in which students read their favorite poems! 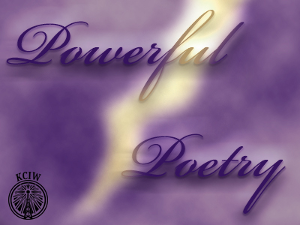 We hope to expand the segment with poetry written by our own students, and you can help! Reach out to your fellow Bruins and encourage them to submit their work to us, or to come on the show themselves. This show also thanks the local Lions Club, goes over all the great events coming up during Homecoming, and there’s even a neat bit about a haunting… Don’t miss the work of Miranda Wolfers, Peter Parker, Brigid Mitchell, Gage Westbrook and Maclane Westbrook, as well as the musical talents of student Jeremy Pettinger and friend of the show Derek Thomas Dew. Creepy clown laugh is the file clown laugh by freesound.org user scottcampbell, Creative Commons Public Domain Dedication License. Bongos sound effect is the file bongos.wav by freesound.org user Warhawk717, Creative Commons Public Domain Dedication License. Cave Song and Song of Cirrus are original compositions by student Jeremy Pettinger, using ToneMatrix, by Audiotool at http://tonematrix.audiotool.com. Image provided by the Brookings-Harbor High School. Students pictured in images have signed permission forms from parents on file at the Brookings-Harbor High School. 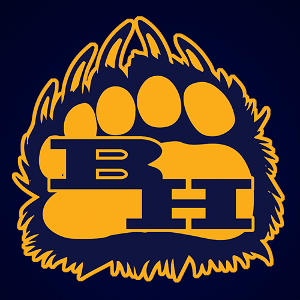 This is Episode 32 of Bruin Radio, a show combining all of the great radio and podcast content made by the students of the Brookings-Harbor High School. Content for this program was provided by the Brookings-Harbor High School with student and parent or guardian permission, and the approval of school administration. 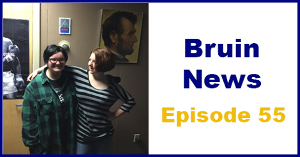 The Bruin News segment used Wikinews briefs jingle, by Steven Fruitsmaak, Creative Commons Attribution-ShareAlike 2.5 Generic (CC BY-SA 2.5) license. During Little Timmy Buehler’s poem, we used the sound effect Cuckoo & the Nightingale Duet by freesound.org user Vonora, released under the Creative Commons Public Domain license. This sound effect can be found at http://freesound.org/people/Vonora/sounds/269570/. This episode features selections from music composed by artist Derek Thomas Dew, also known as Touchless Remover on SoundCloud. 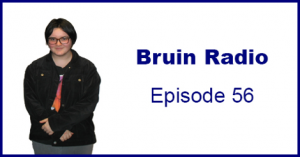 This is Episode 30 of Bruin Radio, a show combining all of the great radio and podcast content made by the students of the Brookings-Harbor High School. 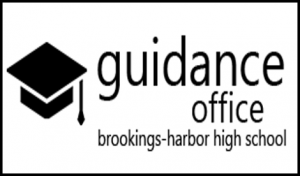 Content for this program was provided by the Brookings-Harbor High School with student and parent or guardian permission, and the approval of school administration. The segment on Phishing used a musical composition called “technology ambience” uploaded by user “burning-mir”, and released under the Creative Commons Public Domain license. Link to the song here: http://www.freesound.org/people/burning-mir/sounds/223442/. The bongo sound effects were adapted from bongo dry.wav, from Freesound.org user Satoration, released under the Creative Commons Attribution 3.0 Unported license.